Aero Arby Inc. Welcome to Aero Arby Inc.
AERO ARBY manufacturers high quality, low cost custom die casts molds, presicion plastic injection molds, prototype and production machining. Because you can't beat experience. AERO ARBY has been providing comprehensive machining services to the Aerospace and Commercial industries since 1992. At AERO ARBY, we take your work seriously. 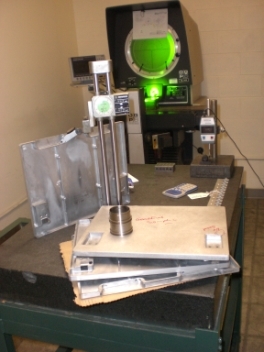 Using the latest technology,we can inspect your parts to assure you of correct dimensions and tolerances. We have a seperate temperature controlled room dedicated to Quality Control.